A Backpack Lifestyle: Hey Friends! 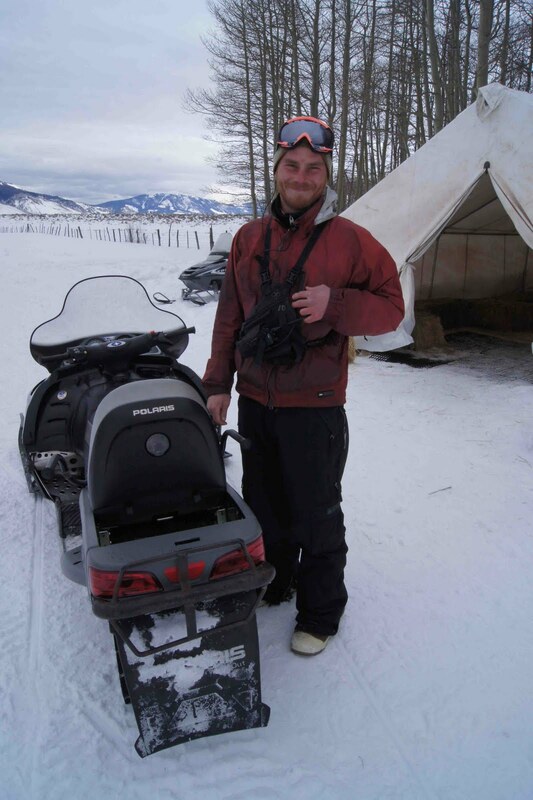 It's been a while and you wouldn't believe how much elk I have schlepped in the last month! 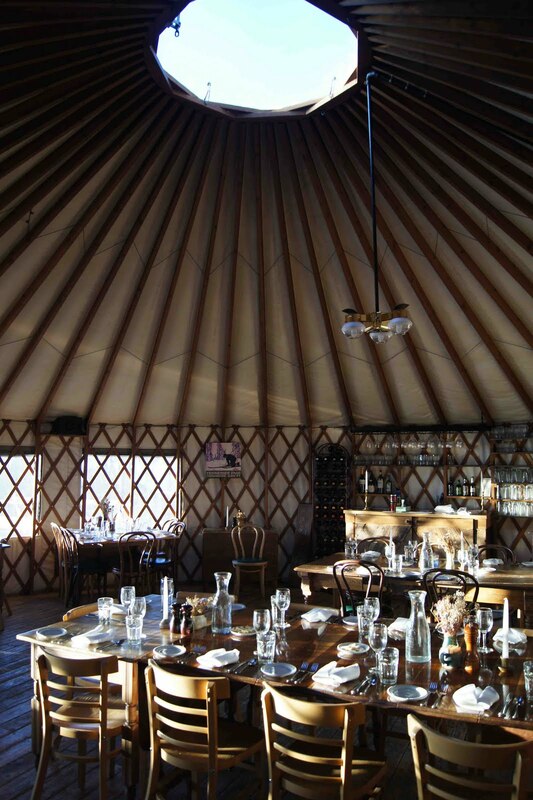 The 30-foot yurt fits 45 people when it's max-ed out. The holidays came and went, mostly at work, punctuated by a few get togethers and gift-exchanging. Practical mum sent food, a non-electric chopper, and a tool kit...for that impending day when my bumper actually fall off. Most touching was a donation of $100 to Camp GLOW in my name from partner-in-crime, Rocky. Rarely do I get true surprises and this one blew me away. Glad the girls in Benin are still keepin' on. It's been gorgeous here though we've been hit by some cold snaps. At 20 below, it's hard to start a car, snowmobile the mile to work, or just be outside in general. My house is old, slightly drafty and I've been spotted sleeping in a full fleece suit, hood and all. I believe they call that backcountry beautiful. As long as the sun keeps shining, we're all in good spirits. Though I must say the monochromatic color scheme has been getting to me. Haven't been taking as many photos as hoped and while I'm on the hunt for a tripod and photo software to experiment with, brown, white, and evergreen are wearing on my eyes. Suppose I should sound a little more thankful to live in such a fabulous location ( I am, I LOVE it here), but as I've said before, even chocolate and elk for every meal can get a little tiresome. In an awesome show of family solidarity, my parents sent Abby out to the mountains for some apres-new year's fun filled days. I picked her up on a Wednesday from Denver and we didn't stop moving until putting her on a plane shortly thereafter, on Sunday. Most of our photos are on the facebook but wow, I don't think I've laughed that hard in a long time. 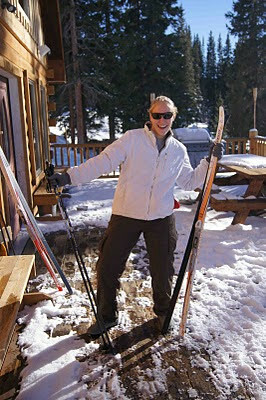 She'd never been on skis, a snowboard, or a snowmobile. We covered it all and then some. After watching her hurl herself down a small slope on x-country skis, catch serious air after a major fall (on the bunny slope) while snowboarding, and scream "Born to Be Wild" at the top of her lungs while tearing it up on a snowmobile at 40 mph, I realized I needed her visit just as much as she did. Mixing it up is necessary to stay fresh and alive. It was awesome to have a visitor from home! It occurred to me that Abby hadn't really experienced being in the mountains before, and though I don't think she'll ever call Leadville home (too small), this was one more notch in the journey belt. Made me reflect a little on past travels and my encounters with nature's grandeur. It was nice to see my surroundings in a fresh light. 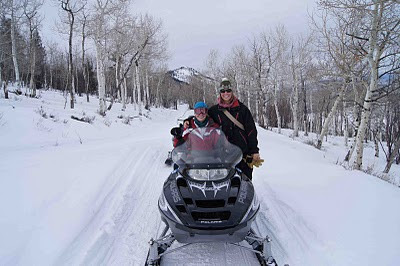 On the last day, guide-extrodinaire, Rocky, took us for a fast and furious few hours snowmobiling near the Gore range. These mountains are touted as being the model for the Coors cans. That delicious banquet beer. It really does look like it! We ended in Denver that same night to catch dinner and a movie before handing her over to security at the airport for a red-eye back to Kent for spring semester. Ate burritos and saw Black Swan. A self-destructive ballerina isn't my usual cinematic topic of choice but certainly gave us conversational fodder for the ride to Denver International. In true Miller form, it was whirlwind adventure but oh so fun and needed. NICE! 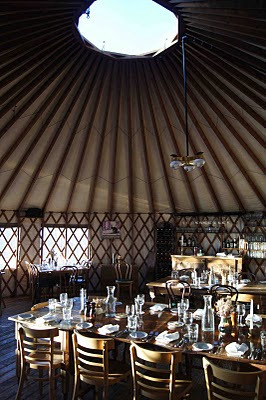 Can we be your next visitors!? What's your week looking like? Could we squeeze in a trip before I start school on the 24th! ?